We are a customer-oriented company and strive to provide reliable and superior after-sales technical support to all our customers. Our service engineers are factory trained on all systems we sell and are available to provide efficient support to your critical power systems. UPS maintenance plans are imperative to proper and reliable UPS function. There are a wide range of factors that can cause a UPS to fail, therefore ongoing UPS maintenance plans are essential to protect your critical equipment from events such as power surges or outages. By carrying out regular maintenance service visits, in accordance with the recommended maintenance schedule, we can maximize system uptime and reduce the cost of premature component failure. We can tailor our maintenance programs to suit your requirements, ensuring a best-fit solution to your specific situation. Factory trained Engineers together with a quick service turnaround give you peace of mind while maximizing your critical infrastructure uptime and preventing unexpected shutdowns and downtime. Optimized equipment and system operations increasing infrastructure lifetime by tuning and upgrading the system based on the actual application. Engineers with extensive technical knowledge, experience and commitment to safety provide you with a steady delivery of services both on a scheduled basis as well as during an emergency situation. Regular preventive maintenance programs include 24/7 emergency callout. Preventive Maintenance visits adhering to detailed Scopes Of Work and followed by technical customer reports. Site activity schedule during normal working hours and 24x7 based on the application needs. Original manufacturer equipment spare parts provide for quality and compatibility anytime during the equipment lifecycle. Planned software and firmware upgrades on equipment controls. Consumable replacement and lifecycle components management. 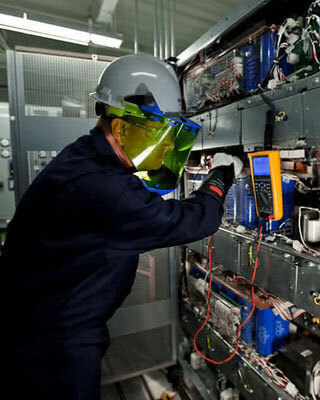 Batteries are an integral part of your critical power system. Batteries have a lifespan which varies according to the conditions of use and the installation environment. 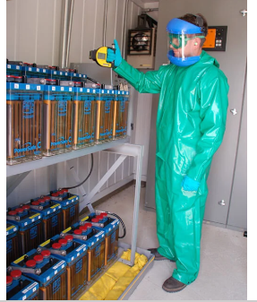 It is imperative to trend the condition of your batteries in order to provide information on battery performance in relation to the designed autonomy and the manufacturer’s published life cycle recommendations. In order to maintain maximum uptime and protect your investment, regular inspections are advised from our skilled team of technicians. Maintenance is the single largest difference between normal battery life and premature failure. Our on-site visits and maintenance programs ensure batteries are operating correctly and in line with the manufacturer’s specifications. A regular preventive maintenance program enables us to formulate an adequate replacement schedule, based on actual estimated battery life and not only on theoretical design life. This significantly reduces the chance of costly equipment downtime. 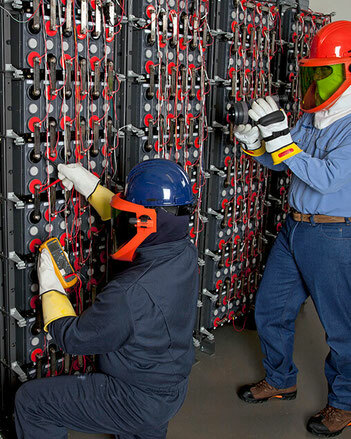 Our Battery Maintenance services include battery preventive maintenance, inspections and testing for both Vented Lead Acid (VLA) and Valve Regulated Lead Acid (VRLA) batteries. Battery impedance testing is performed on each individual cell or by block. Whether you are looking for a complete electrical installation solution or need to expand or repair an existing installation, we have a team of qualified electrical engineers that can get the job done to ERC standards.